President Maithripala Sirisena has decided to appoint a Special Presidential Commission of Inquiry, this week, to investigate into the controversial Central Bank bond issue. “I will appoint a Special Presidential Commission of Inquiry this week to investigate the Central Bank bond issue and recommend actions,” President tweeted. 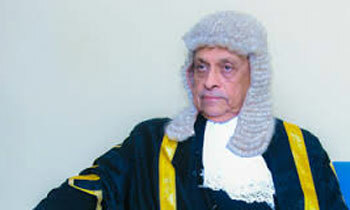 President's move on the eve of a scheduled debate in Parliament on the bond scam may weaken the debate. 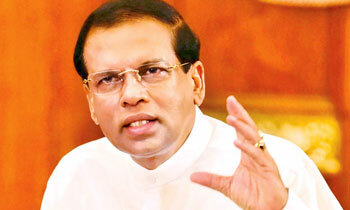 @samaritan wrote: President's move on the eve of a scheduled debate in Parliament on the bond scam may weaken the debate. Even a late decision may not slow down non ending comments. Need quick recommendation from appointed team. Speaker Karu Jayasuriya said the COPE report on the CB bond scam would be taken up for debate today as scheduled and there was no reason for the House to act otherwise despite a petition filed against the COPE report in the Supreme Court. He told Daily Mirror that the one-day debate on the bond scam is in the Order Paper and would be taken up for debate after the routine business of the House was over. Facts are there to be seen in front of them but they still ignore them and appoints commission after commission to investigate this scam. Aney manda, Previous regime also pal horu and this regime also kamba horu.